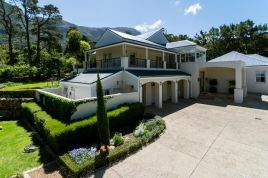 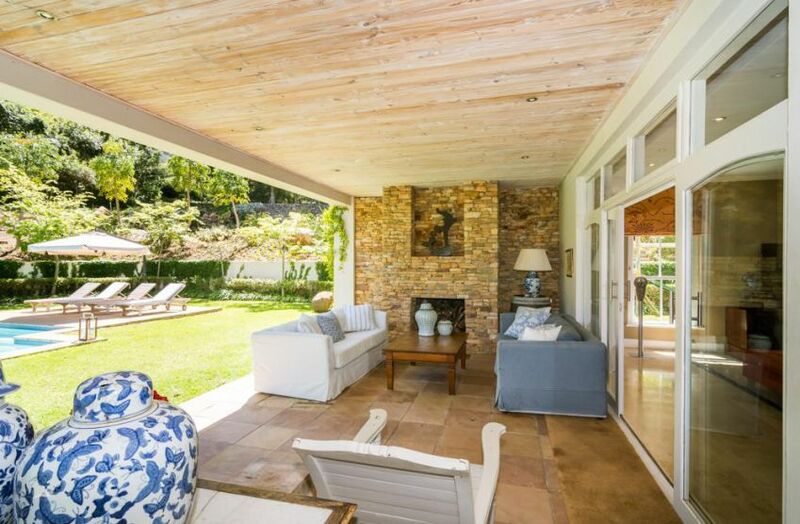 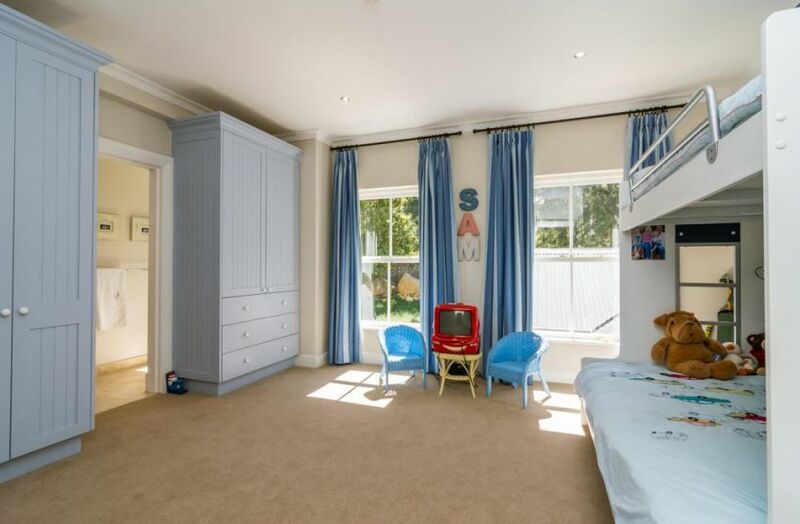 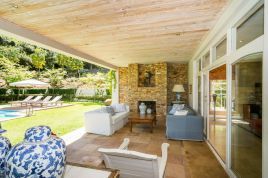 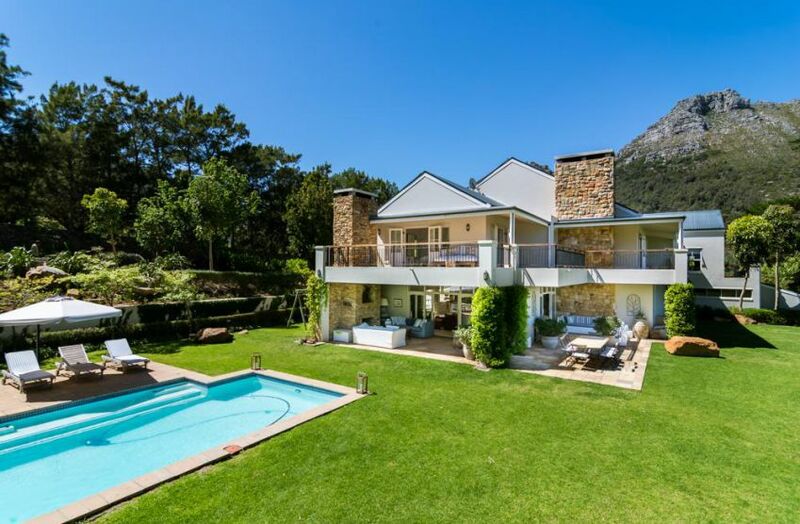 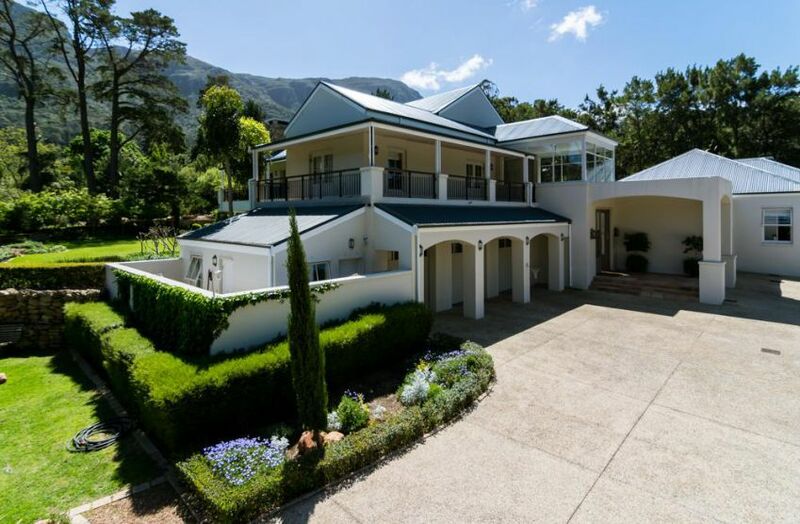 Situated in Hout Bay, this 5 bedroom villa, is ideal for families, as it has a landscaped garden, jungle gym, slide and a large swimming pool. 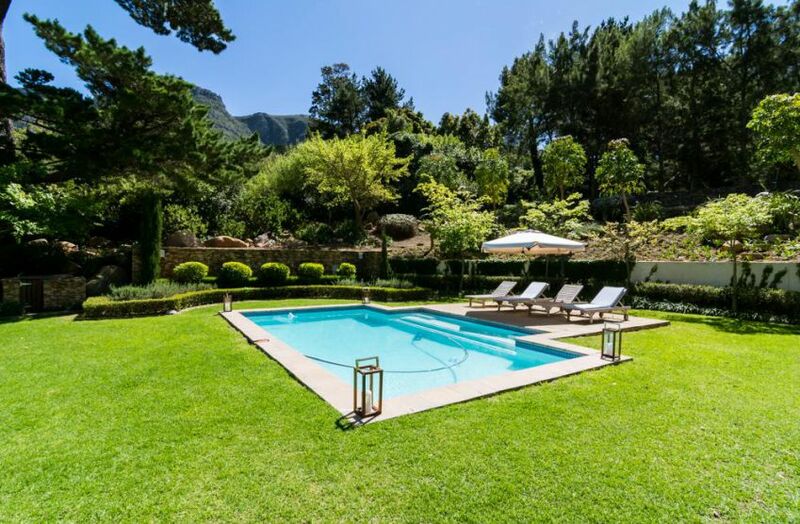 The property is secluded and private with views of the magnificent mountains. 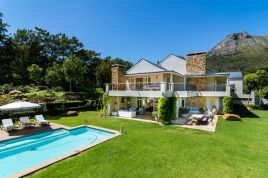 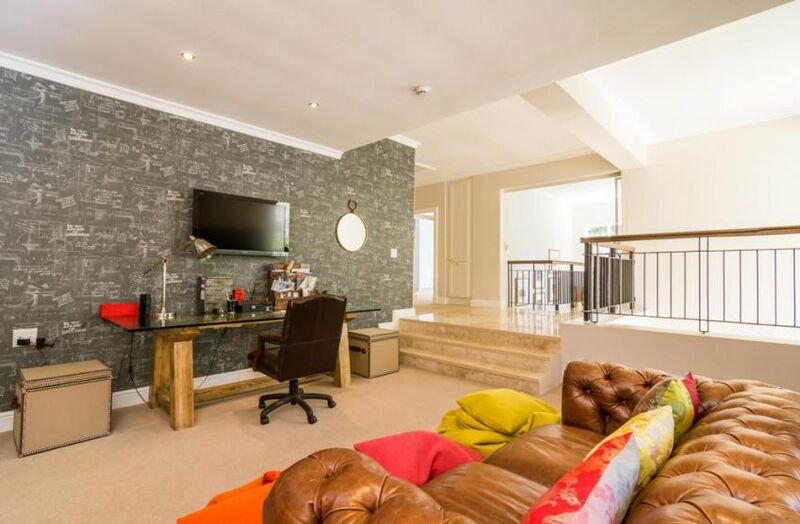 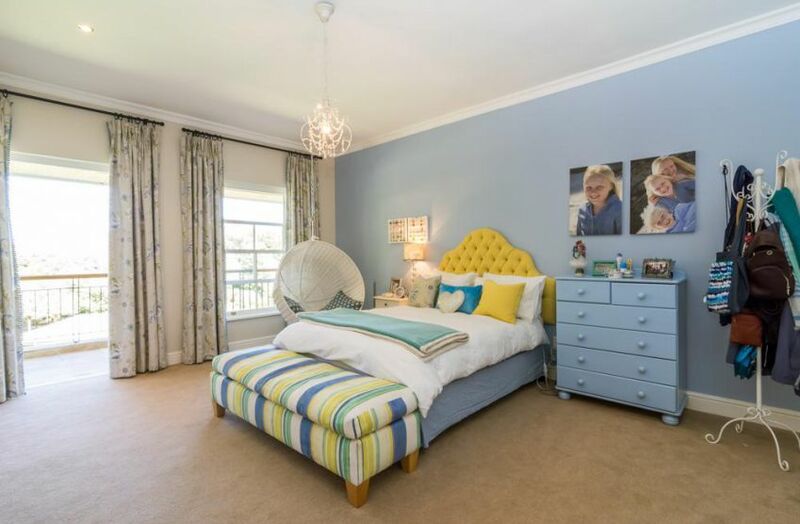 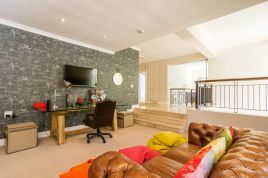 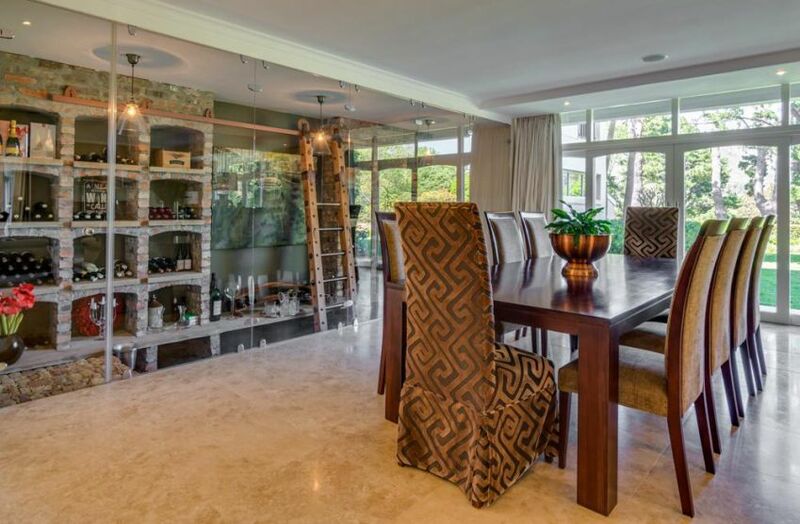 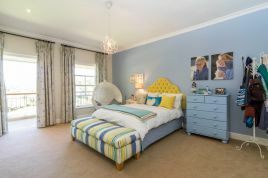 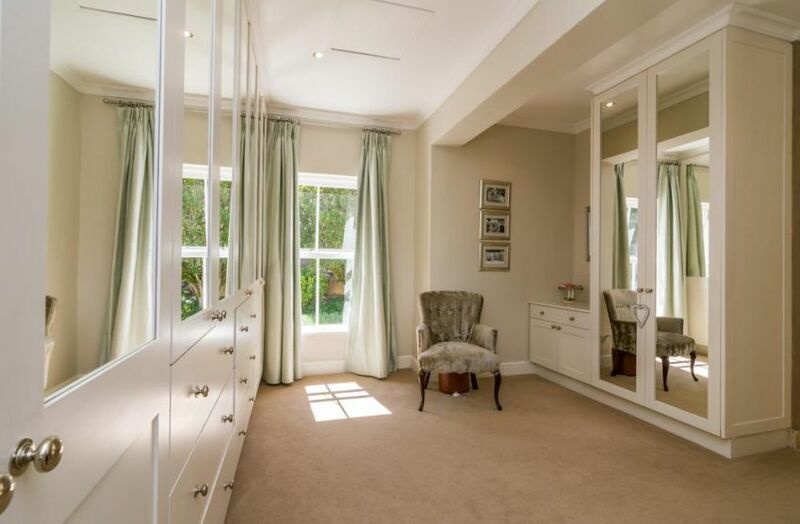 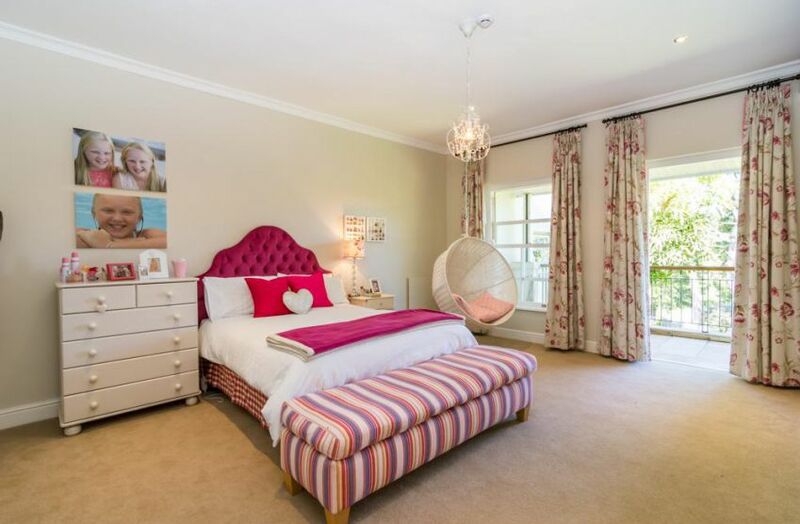 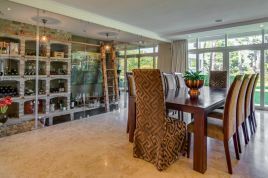 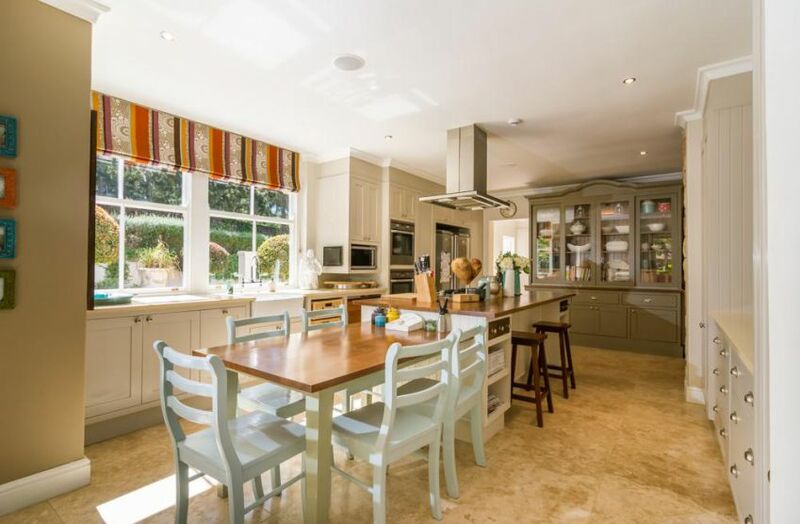 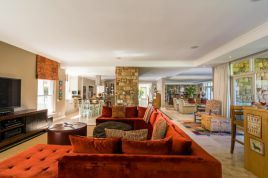 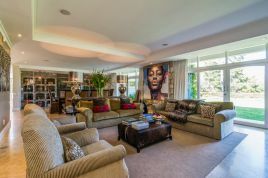 This gorgeous family home boasts inviting entertainment areas that flow freely onto gardens and a swimming pool. 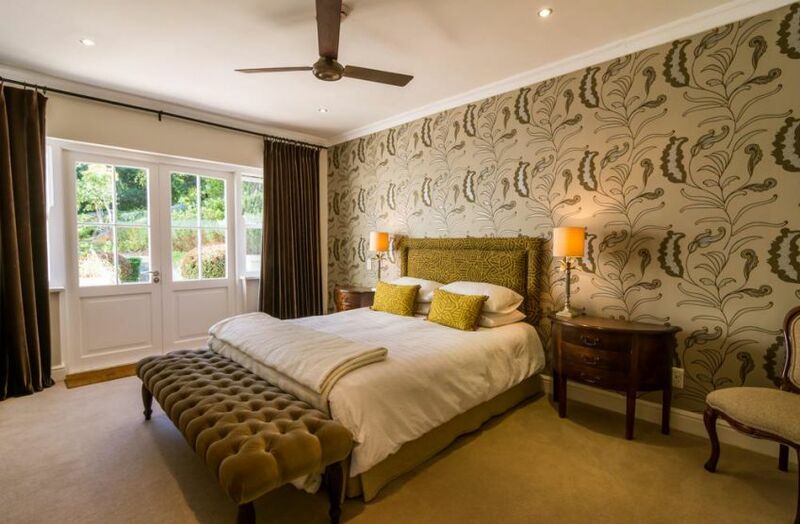 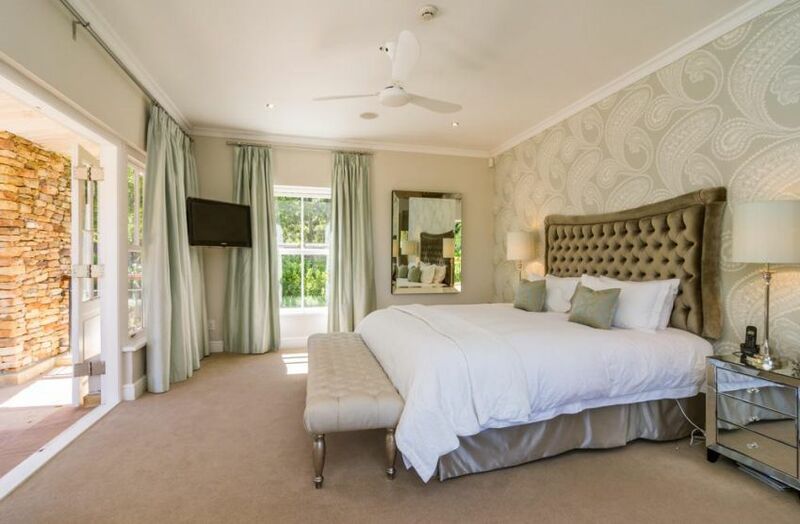 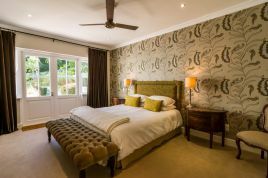 This holiday house boasts five luxury bedrooms. Three of which have en suite bathrooma whilst the remaining two bedrooms share a bathroom. 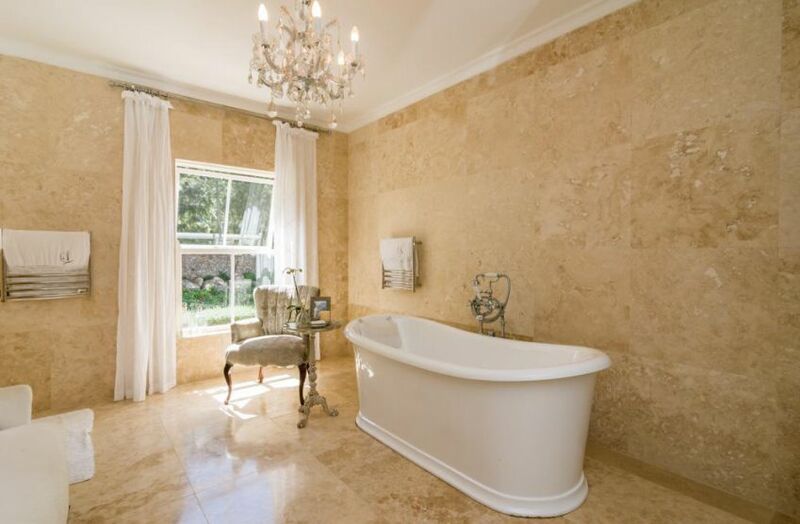 In Addition, the main house is also equipped with a guest bathroom, formal lounge, TV room and fully equipped kitchen.